Time to fix that leaky faucet? Wondering how efficient a low flush toilet really is? We’re here to help! Whether it be repairs or upgrades, there is no fixture too small or too big for our experienced technicians. Our vans arrive at your door fully stocked with the parts to get the job done right. 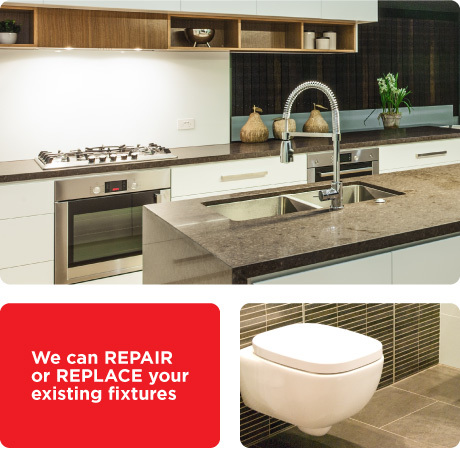 Additionally, we work closely with quality wholesalers in Victoria to help you find the right brand for your installation.